Art House Productions Presents: Snow Ball 2016! 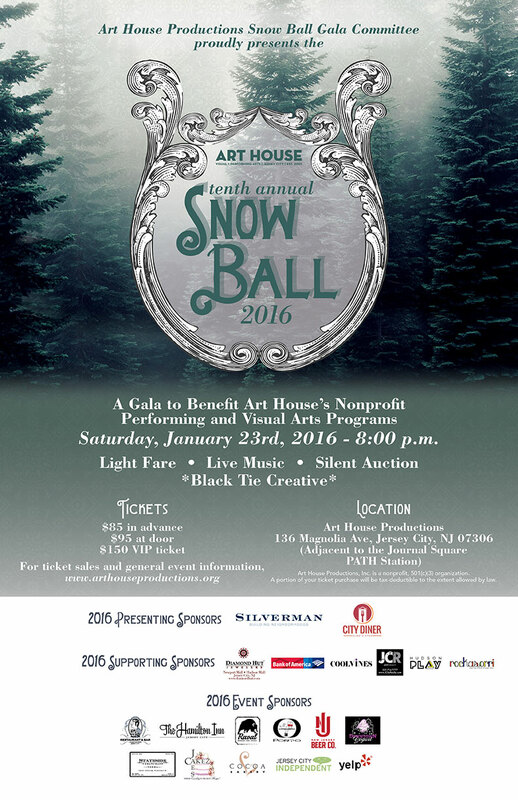 It's time for Art House Productions' annual Snow Ball, Jersey City! The Snow Ball Gala gathers festive, art-friendly folks and benefits Art House's innovative arts programs and features live music, light fare, an open bar and a silent auction. Join in on the fun Saturday, … [Read more...] about Art House Productions Presents: Snow Ball 2016!